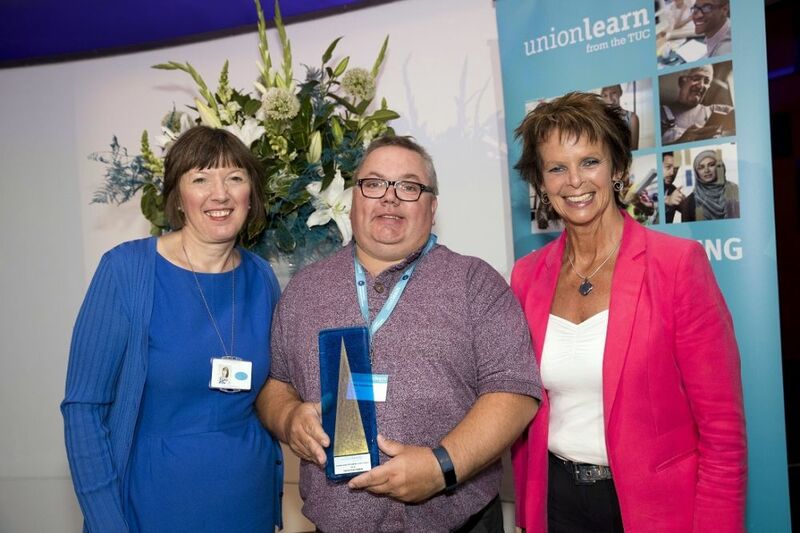 John Goodwin, an Usdaw Union Learning Rep (ULR) from Stoke was recently recognised by the TUC for the Award for Supporting Learners with Literacy Needs. 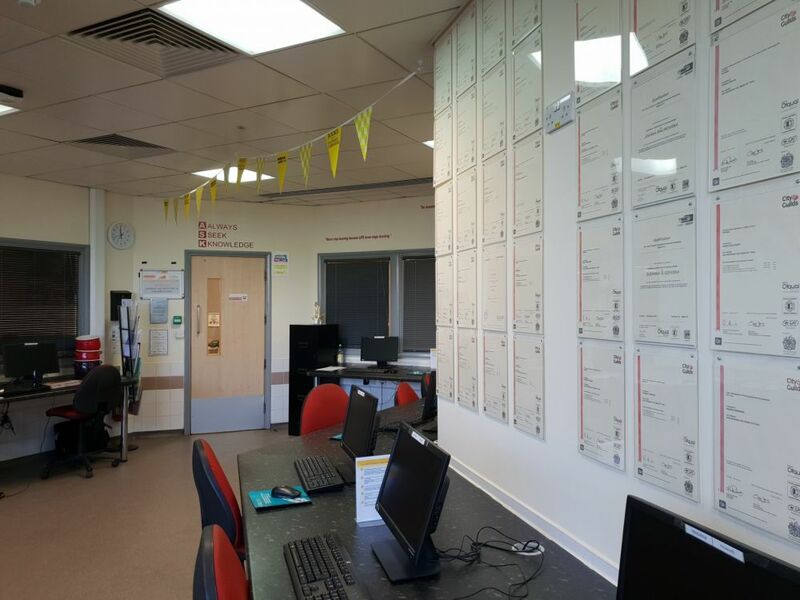 John has established a fully functioning on-site Learning Centre at his workplace, DHL / Sainsburys Stoke that is supported by a team of three ULRs across a range of different shifts, including nights with an agreement of 10 hours paid release per week for the reps to carry out their role. He has been instrumental in paving the way for a strong partnership between Axia and DHL in Stoke-on-Trent. Having someone as enthusiastic as John to pass on skills and knowledge is absolutely fantastic for the workforce as well as the dedicated tutors at Axia. A large number of learners on the site are colleagues for whom English is not their first language, each learner completes an English assessment and is then enrolled onto the correct course with both John and the tutor supporting them. Many migrant workers at the site are first employed by one of the two agencies located within the organisation, to ensure that all colleagues have access to the Learning offer. John attends all inductions and works very closely with both agency managers ensuring the Lifelong Learning continues to be inclusive for all staff. The progression rates for these new staff who have started with an agency to become fully fledged employees of DHL have increased dramatically since starting this programme with the ULR's and Axia. The achievement rates for DHL learners were a fantastic 89.47% in 2017. These statistics show the true value of the partnerships between the company, the ULR and the training provider. This progression figure is indicative of the results that can be achieved by a successful partnership. For more information about the Unionlearn Awards and John Goodwin, click here. The branch, DHL Stoke K183, (Pictured above) has fifteen reps, more than 600 members, a fully-equipped learning centre and an award-winning safety record putting this flagship operation at the very top of the warehouse sector. 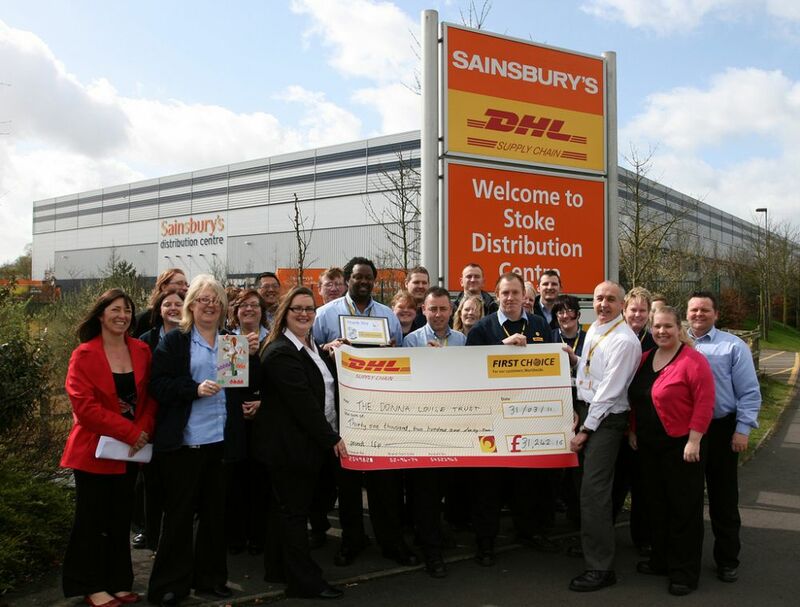 The work that Axia do with John and the workforce at DHL has a positive effect on the company performance as well as embedding a better level of English and Maths within the local community. The number of workers that have progressed from agency to full time DHL employees has increased to 25.9% from 5.3% since the initiative began. Axia are able to deliver these fully funded courses due to their successful bid for an Adult Education Budget through the ESFA (Education and Skills Funding Agency) which have been entrusted to us to help our local businesses to thrive and build much needed English, Maths, and ICT skills and ultimately lead to growth. Employees can also enrol on a full time apprenticeship if the company wishes them to.